The True Believers Workshop Room is back, and for 2017 we have 4 exciting workshops planned for you to enjoy, with a special superhero life drawing session, a workshop that gets kids creating and two focusing on cosplay/cosplaying. This year the Celebrate Cosplay team return with two workshops designed to help you on your journey to becoming a master cosplayer. Up first is the Posing workshop, in which our team will be sharing the skills they have learned as cosplayers in posing for shows and photos whilst in cosplay. Posing is a huge part of embodying the character you're cosplaying as and with the pointers and tips from the Celebrate Cosplay Team, you'll be able to add to your cosplay skills and create better photos and show moments . And once you're done here, why not take the skills you've learned and try them out on the Cosplay Catwalk? Inspired by what you've seen on the Cosplay Catwalk or around the event? Fancy trying your hand at cosplay but have no idea where to start? Or just looking for some tips to improve your cosplaying skills? Why not join the Celebrate Cosplay team as they talk you through some basic skills to get you started on creating your next cosplay? Life drawing classes are becoming a hugely popular tool for artists looking to hone their people drawing skills, with several top names in comics talking about how useful they are. This year at True Believers, we're trying something a little different in our workshop room and putting on a short Superhero Life Drawing session. This workshop will run for roughly 30 minutes and will feature our cosplay guest Limegreenjelly - in costume as Hawkeye (Kate Bishop) - as your superhero life model. Whether you're a seasoned artist or an occassional doodler, this life drawing session is perfect for you to come and have a try at something new on the day. During the workshop Jon will explain and describe what the story is about and what goes into creating a character for a comic. Everything from the name of the character, what they look like and why, what abilities they may have, how to create a backstory and why they behave like they do. 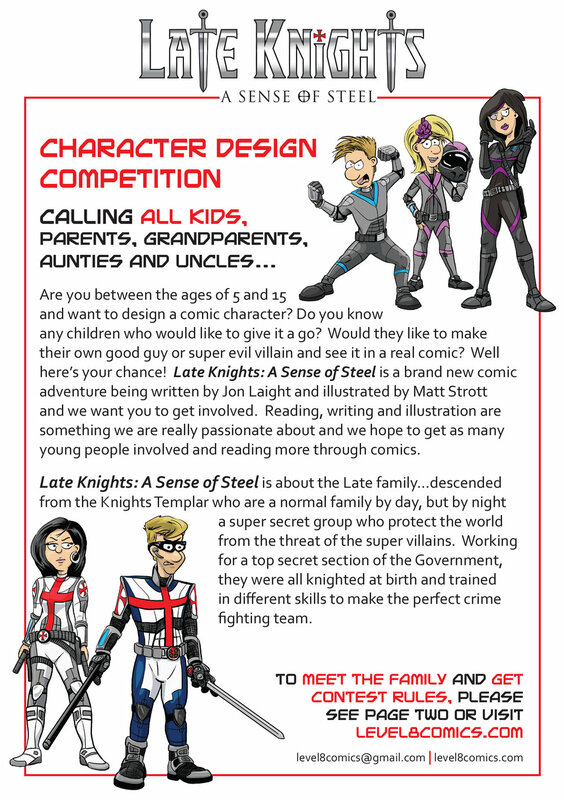 So whether you are a budding writer, artist or just fancy trying something different, this is your chance to design your very own character - whether it be a good guy or bad guy - and maybe win the chance to see your creation feature in a real life published comic. 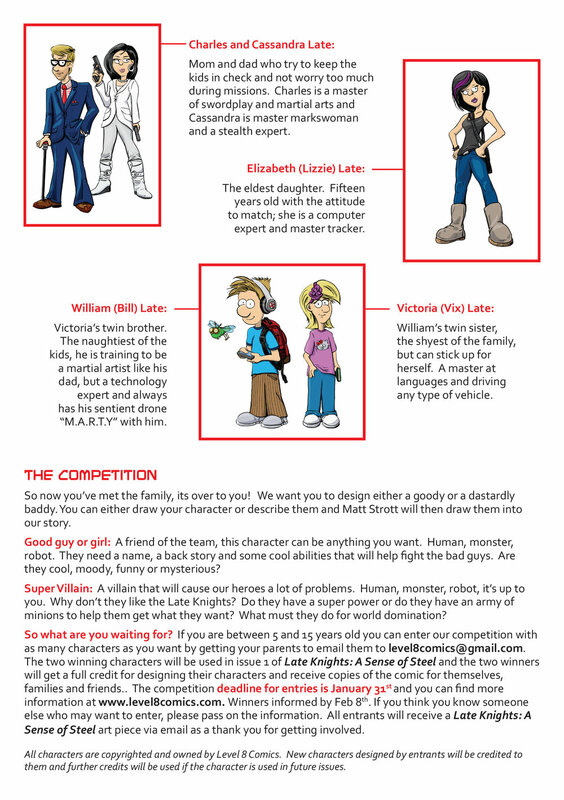 For more details have a look at the flyers below or head over to www.level8comics.com/competition.